Rather Sherry with vanilla, coconut and a light oak. Everything is wrapped in a minty freshness. Always this freshness (minty / vegetal). Wonderful deep dark color. Light scent of sherry, very pleasant. 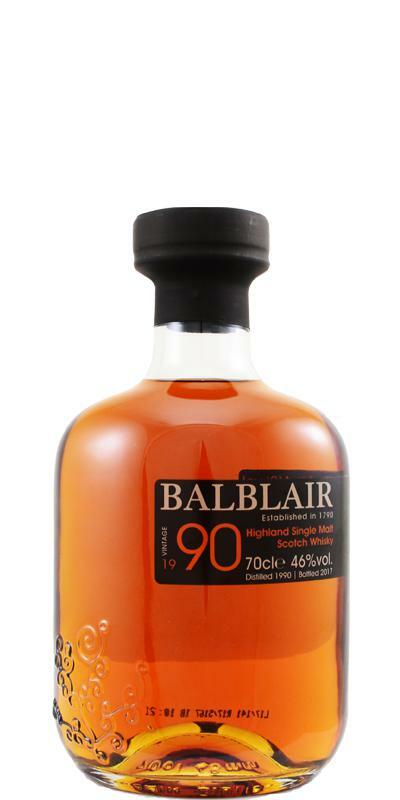 Taste: full, round and sweet, alcohol seems almost stronger than 46%, sherry, tolerates a few drops of water, honey, raisins, sweetness, long finish, slight pleasant bitterness in the finish noticeable, complex whisky. Compared to the 1991 3rd release significantly better. The 1990 2nd release has a darker color, more intense fragrance and fuller flavor, so it's preferable down the line. Tip: buy as long as there are still a few bottles to get. 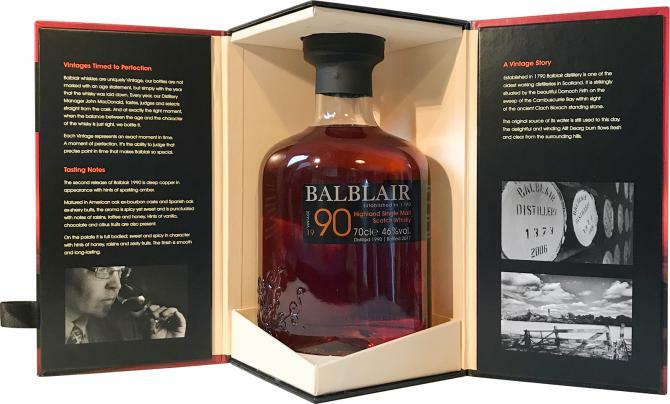 N: This is a far beefier dram compared to the more subtle lemon-floral 1991/2018 3rd release [Blog / WB], and the very different 16yo ‘old style’ label [WB]. That’ll be down to the significantly heavier sherry presence, the distillery-specific floral < tropical fruits still very evident however. 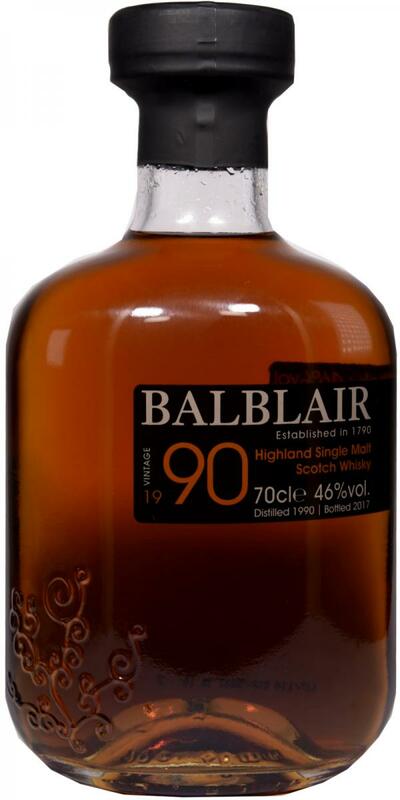 It was interesting to compare this with SMWS’s 70.21 [Blog / WB], and Elixir’s 19yo [blog], a distillery character from the underlying spirit emerging between all three. T: More dark & desirably bitter > sweet sherry action, one pleasingly amalgamated and somewhat old skool in character for sure. After a full arrival and a patient pause, things start to get interesting on the turn [with water], towards a varied & colourful finish. F: The spirit remains firm whilst the finish offers all-sorts, from a fresh/spicy waxiness to a slightly butyric note, desirable sulphury tones, a dry woodiness, earthy dunnage,… a collection in fact of possible outcomes like those 'choose your own ending’ adventure books. C: Maybe the 1991 has more finesse, though it’s only just been opened so too early to say. 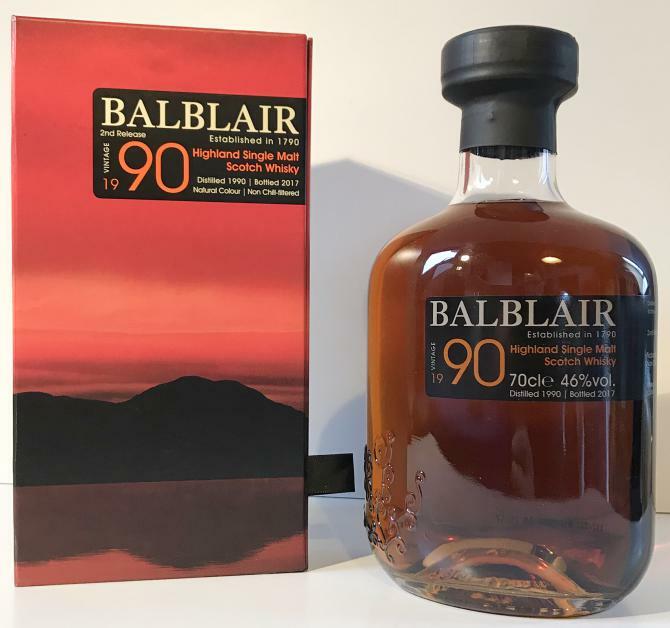 Perhaps by comparison then, this is a more rugged Balblair, though one that maintains all that’s great about this fabulous Highland distillery, and so a whisky you can enjoy on many levels. Subtle but well matured, florally complex malt. One of my favourite styles of whisky. Time in the glass and on the tongue improves the experience tremendously. An absolute gem. Not extremely komplax but especially and really worth a dram. warm full finish, long and astringent. I always had him on the radar. Rob called him "Whisky of the Year"
I have to say, I was not disappointed. The sherry should be dominant on the nose. Is he. The full program from plum to raisin everything. Even the distillery shimmers slightly malty through the many years and connects everything together. Well done. Even the alcohol knows its limits exactly. Sweet and sour take turns. As so often with such bottlings, chocolate & caramel are not too short. Fine! He has plenty of power and spice. But pleasant and not too intrusive. For lovers of bittersweet chocolate a pleasure. You want to pour it again and again. Caution is advised! The finale is wonderful, medium to long and fine tuned. No dryness and no bitter end. Everything flatters chocolaty and sweet. You do not want to stop anymore. Nose: Mostly influenced by sherry, it has aromas of ripe fruit, chocolate. Honey is also present, it takes caramelized aspects. The set is soft, with spices under the coat of fruit, pepper, a little ginger. Finally something cooler, almost minty, and also tangy appears, holding citrus fruits. Palate: It remains very soft, with a direct lemony presence, which I did not expect in a curtain. Then, and most importantly, it's sherry. Notes of toast are both dry and fruity. Caramel, chocolate, woody. All these flavors are well melted and incorporate this honey, this vanilla from bourbon casks. Slightly sulfurized, also with raisins. Final: Much more spice, with moderate drought. Citrus fruits come in the form of orange zest, slightly bitter. A return on this fresh and minty style.